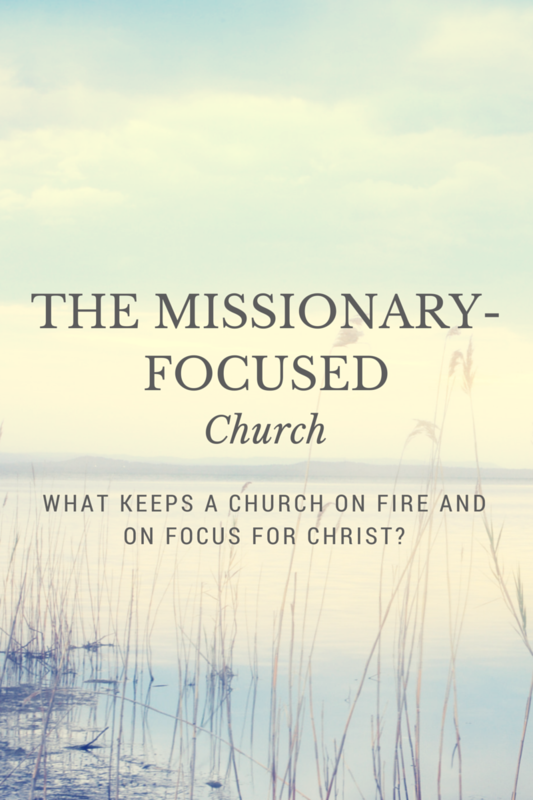 What keeps a church on fire and on focus for Christ? We have been working through the last words of Christ to the seven Churches of the Revelation. A similar pattern of discourse is used for each of the churches. The outline is: A presentation of Christ in that church, a commendation, a condemnation (rebuke), an exhortation, and a promise (to those who overcome the weaknesses of that church). I have also proposed that each of these churches represent an age of the church throughout church history. This approach is called the Historic-Prophetic Interpretation. Dr. Arnold Fruchtenbaum states that while all seven types of churches always exist, one type dominates a particular era of church history. Imagine a church that does not receive a condemnation. This is the case for the church in Philadelphia. Let’s see what makes this church so special in the eyes of Christ. The letter was addressed to the church in Philadelphia, which means “brotherly love.” This church seemed to dominate during great missionary movement from about 1700 to 1900 AD. From this period, we see the great revivals in the United States and such missionary giants as Hudson Taylor. There were certainly other great times of Christian outreach, but this was an exceedingly great time for Christianity. The church was located in a rather earthquake-prone area. As a result, the town walls were unsafe. The expense of reparation was constant. This seemed to lead to the poverty of the church members. The city was somewhat remote but when it was encircled by the Turks, the citizens of Philadelphia defended their religion and freedom for some 80 years. In this letter, Jesus, the Messiah, is pictured as the One with authority to open and close doors. While the door was open, they did the works that Christ expected. They were diligent to keep Christ’s word and to defend the faith. Even under attack and duress, they did not deny His name. Because of the loyalty of this church, Christ provided a fourfold promise to them. First, they were promised fruit from those who claim to be Jews or the people of God and are not. Interestingly, by 1900, some 250,000 Jews came to faith in the Messiah. Second, they will be kept from the hour of trial. They will not enter into the Great Tribulation period. This is not a promise that is limited to the church in Philadelphia since that church has long passed away. It applies to all who even now are staying true to Christ. The Great Tribulation (described in Revelation 6-19) will fall upon the whole world. According to this promise, the true church will be kept from this period of trial. Notice, the passage does not merely say the church will be kept safe during the trial, but it will be kept from the hour of the trial. This requires the removal of the church before the beginning of the Tribulation. Third, they will serve as a pillar in the temple of God. This seems to refer the role of the church in governing during the Millennial Kingdom. Fourth, they will have receive three new names: the name of God; the name of Jerusalem; and the new name of the Messiah. Christ finds nothing wrong with this church; therefore, His exhortation is simple: Keep on keeping on. They are exhorted to continue doing what they are doing. This is certainly the type of church we would want to emulate. Christ had nothing bad to say about them. Why? Because they were doing what Christ expected them to do. For that reason, it seems that we should follow suit. We should do the work Christ gives us to do—that He expects us to do. Ephesians 2:10 reminds us that we are His workmanship, created in Christ Jesus for good works, which God prepared beforehand that we should walk in them. We need to be committed to do what He expects us to do. Even under persecution and attack by those who hate Christianity, we should be diligent to keep Christ’s word and to defend the faith. My old football coach used to say ad nauseam “when the going gets tough the tough get going.” The going is getting tough and it’s going to get worse, but we need to be diligent to keep Christ’s word as our guide and we must vigorously defend the faith. We must patiently endure—persevere. We know the end of the story. We will, regardless of how the world responds to us, appear before the Judgment Seat of Christ (2 Corinthians 5:9-11). All He expects from us is that we live according to His word and we do what He has prepared for us to do. Are you prepared to present your case before Christ? 2 Replies to "The Missionary-focused Church"
The US churches as a whole will not but TFL hopefully gets commended as the church in Philadelphia does in Revelation!